Great diffused light solution as a key or fill, and a great one light solution for a talking head interview. 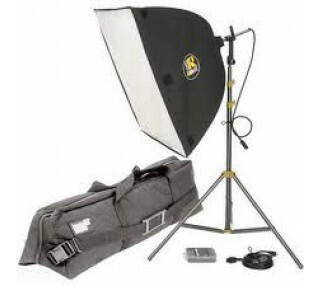 This softbox diffusion light is permanently mounted inside the fabric housing for an easy setup and strike. Simply pop the housing open and attach the front diffusion screen.